There is no end to the study of the open ocean! 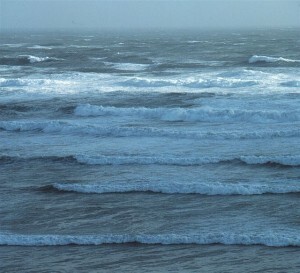 Use the lessons below to create currents, observe upwelling, and learn about the links between the ocean and weather. Learn about plate tectonics and undersea volcanoes, earthquakes and tsunamis. Model an ocean bottom and create topographic maps. Examine life in the sea from tiny plankton to whales, and from the sunlit surface to the dark depths. Learn about hydrothermal vents and life based on chemosynthesis. Study ocean food webs, natural selection, and the many forms and uses of bioluminescence. Dissect squid, and put together a whale skeleton. Examine the impacts and complexities of pollution and over fishing, and learn how we can better care for this vast area that makes up most of our planet.